For the past three years, OADP's annual meetings were held in Salem, Eugene and Keizer. It's time now to return to Portland. Including the 3 county Metro area, Portland has the largest number of OADP members, supporters and legislators. 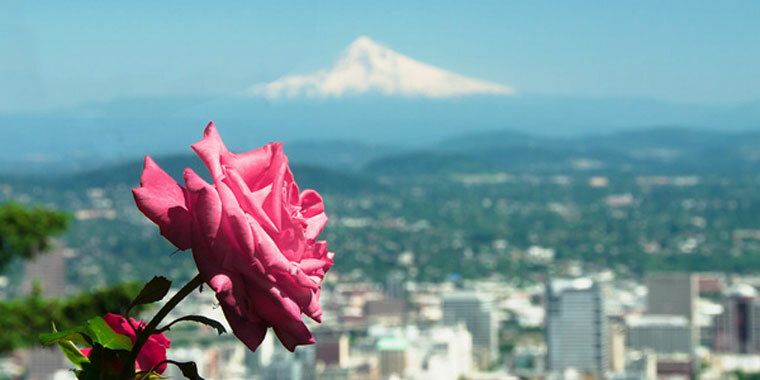 Thus, it's fitting to hold the 2016 Annual Meeting and Banquet in the Rose City. On Wednesday, June 22nd, OADP will conduct its required business meeting and present a program that will be informative and compelling. The annual meeting portion of the program is required in OADP by-laws to maintain our non-profit status. It has become something our growing audiences are eager to witness and participate in. We will again go for a speed record, trying to break last years' time of six minutes and 20 seconds. Getting to our program and outstanding speakers is the priority, and those who attend will not be disappointed. Our 2016 keynote speaker is Rev. Dr. Jack Sullivan, Jr., Executive Director of Murder Victims' Families for Reconciliation (MVFR). He is known and respected as an innovative leader, skillful administrator and visionary advocate for social justice. 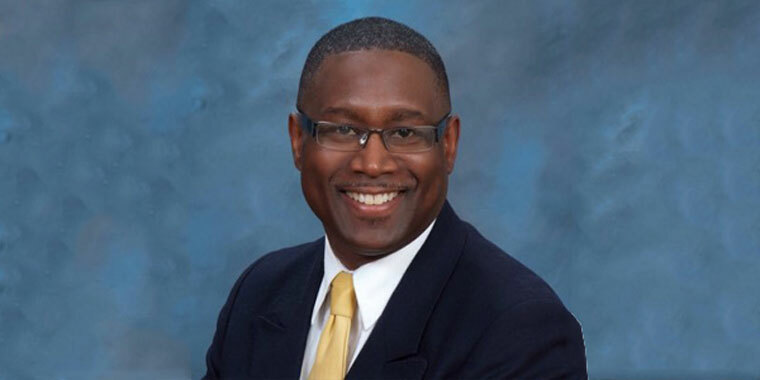 Before becoming a nationally recognized full-time death penalty abolitionist, Dr. Sullivan provided leadership as senior pastor at major churches in Cleveland, Detroit, Indianapolis and Mercer Island, WA. His leadership roles also include being executive minister of two areas of the US, one covering the Northwest and Oregon churches of the Disciples of Christ denomination. (See more in the Keynoter article). A large number of Sen. Shields' constituents and fellow legislators are expected to attend. Introducing our awardee will be Kathy and Clarence Pugh, both former OADP Board Members and the first Sister Helen Prejean Award winners. Portland resident and member of MVFR, Becky O'Neil McBrayer will introduce Dr. Sullivan. Becky's own journey goes from the depths of sadness and despair at murder of her mother and stepfather to becoming a prominent advocate for death penalty repeal. Hers is an important example of the reconciliation victim families struggle to achieve. Becky's remarks will provide the perfect entrée to the keynote speaker. Tickets for the June 22 event are now on sale through oadp.org or can be ordered by calling (503) 551-1349. The $65 ticket includes a 5pm reception, dinner and the program. Sponsored tables for eight are available at discounted rate of $455. The 1997 murder of Rev. 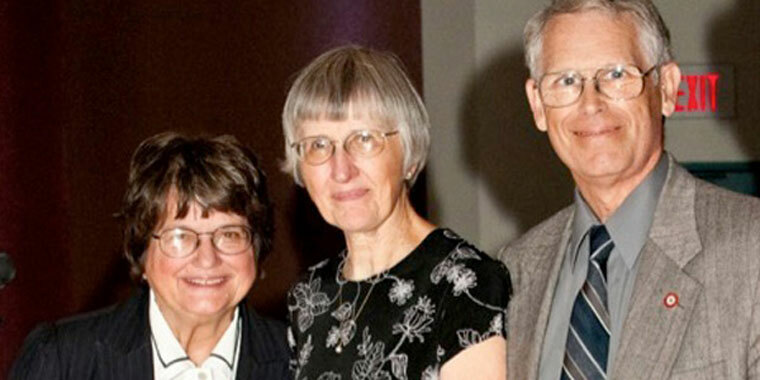 Dr. Jack Sullivan, Jr.'s younger sister, Jennifer, forever influenced his life, ministry and his current leadership of Murder Victims' Families for Reconciliation (MVFR). 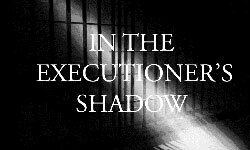 The traumatic days, weeks and months that followed Jennifer's untimely death and his steadfast rejection of any notion that the killer(s) be sentenced to death converged to guide his path. MVFR is the United States' largest membership organization of victim's family members advocating for an end to the death penalty. Prior to his leadership role at MVFR, Dr. Sullivan was a regional minister and president of two regional church bodies in the Christian Church (Disciples of Christ). He has an outstanding and distinctive background speaking on topics of spirituality, social-justice, anti-racism and interracial partnerships. Many of his writings have appeared in books such as Out of Mighty Waters, Sermons of African American Disciples and Black Religion after the Million Man March. He has spoken before state legislatures and given addresses at North Carolina Central School of Law, Duke University, and the University of Akron and during the 2016 Global Humanitarian Summit in Atlanta, Georgia. Ecumenically, Dr. Sullivan has been a member of several activism-oriented associations in communities where he has served. His awards, recognitions and citations are too numerous to list in this space. He has two daughters and he and his wife, Rev. Sekinah Hamlin, are now waiting to adopt two new siblings for their daughters…4-year old Kelly and 2-year old Jackson will join the family. We warmly welcome Dr. Jack Sullivan back to the Northwest as he joins our Oregon journey to abolition of the death penalty. 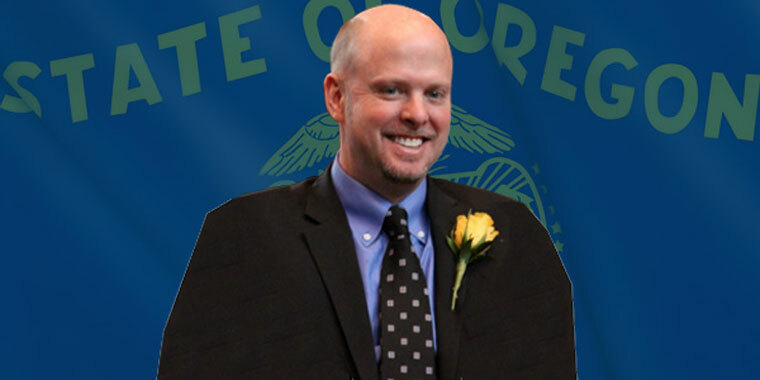 As a member of the Oregon Legislature since 2004, Senator Chip Shields has worked tirelessly for the citizens of North and Northeast Portland. Long before being a member of the legislature, Chip was a leader in efforts to make Portland a better place, founding Better People way back in 1997. The mission of Better People was to significantly reduce rates of recidivism in the Portland metropolitan area. The organization helped clients change their lives and become more productive citizens. By doing so, they were contributing to the health and safety of local communities. In the early 90's, Chip worked as the Director of Development of Employment Connection, an ex-offender employment agency in St. Louis, Missouri. During that time, he volunteered with several of the nation's most successful job placement and offender-rehabilitation programs and learned their systems. With encouragement and support from many generous supporters and partners, Chip created a plan to integrate Moral Reconation Therapy (MRT) with employment services for people with legal histories. Better People began serving clients in 1998. Chip became engaged with death penalty repeal efforts more than twenty years ago. In the early 1990's, he was involved with the Oregon Coalition Against the Death Penalty (OCADP). He was a leader in repeal efforts that started with the 1996 execution of Douglas Franklin Wright, the first Oregon execution since 1962. In 1999, OCADP changed its name to Oregonians for Alternatives to the Death Penalty to better reflect reasonable alternatives available to the state rather than engaging in the killing of its citizens. Chip championed the prospect of replacing death with life without the possibility of parole. In 2000 and 2001, he was board chair of OADP and a leader in the "Life for a Life" campaign that was moving toward repeal, when the 9/11 tragedy in New York City inflamed the nation with "tough on crime" attitudes and took the wind out of the Oregon's repeal sails. Committed to creating Better People and a better Portland, Chip was elected to the Oregon House of Representatives in 2004. He served the people of North and Northeast Portland in the House of Representatives until he was appointed to the Senate in 2009, filling the seat held by very popular Senator Margaret Carter in Senate District 22. In the legislature, Chip worked to create living-wage jobs, strengthen our schools, make health care more affordable, protect our environment for future generations, and ensure equality for all. He never took his eye of opportunities to advance the idea of an Oregon without a death penalty. Senator Shields served as Co-Chair of the Public Safety Subcommittee of Ways and Means, the budget committee for public safety. As a member of both the House of Representatives and the Senate, Chip has always focused on evidence-based practices to keep communities safe. "Public safety is about more than just building more and more prisons. It is about properly investing in what we know reduces crime: K-12 education, Head Start, domestic and sexual violence prevention, and addictions and mental health services," Chip wrote on his official state web site. As a legislator, as a citizen and as a champion of creating a better Oregon, Senator Shields understood there is no evidence that the death penalty benefits anyone. His "smart on crime" mindset has provided a sterling example for others who joined in the effort to repeal the death penalty. It would be of greater benefit to divert the many millions of dollars wasted on this failed public policy and re-invest those funds into programs that do benefit Oregon citizens and make our communities better places to live. The Board of Directors, the Advisory Council and thousands of supporters of Oregonians for Alternatives to the Death Penalty are pleased and proud to bestow the 2016 Sister Helen Prejean Award to Senator Chip Shields. The 2016 Sister Helen Prejean Award will be presented by the first awardees, Kathy and Clarence Pugh. The Pughs have been working to repeal the death penalty for a quarter century. In the 1980's, Clarence served as the Oregon State Death Penalty Abolition coordinator for Amnesty International USA. Both he and Kathy were intimately involved in the original grassroots organizing efforts of OCADP and OADP. Both have served as chair, secretary, treasurer, and newsletter editor at different times. Both have also testified at the Oregon Legislature, written letters to the editor and guest opinions for newspapers and tabled at churches and events. In 2014, the Pugh's moved to Seattle to be closer to family. They took their passion for death penalty abolition with them and are now involved with the Washington Coalition Against the Death Penalty. 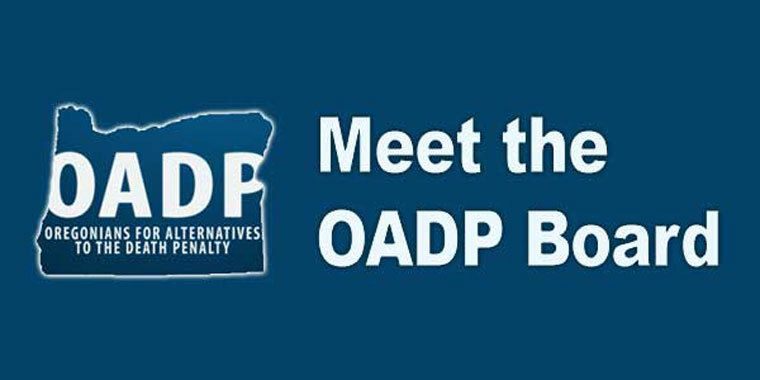 The OADP board of directors is a hard-working, dedicated group of volunteers who devote time, energy, expertise, and resources sharing the long and hard journey to achieve our mission to repeal the Oregon death penalty. The board is made up of the following people. Those who attend the June 22nd Annual Meeting & Banquet will vote to confirm their status and affirm the support that they have from all members and supporters of OADP. Aba Gayle, from Silverton, has been an activist in death penalty repeal work for more than 35 years. She lost her daughter Catherine to murder and came to the realization that more violence handed down by the state does not honor Catherine. Aba Gayle is also an active member of Murder Victims' Families for Reconciliation (MVFR) and speaks nationally and internationally about repeal of the death penalty. Mark Baker, from Salem, is a CPA with the firm of Hoots, Baker and Wiley. He serves on several non-profit boards as well as OADP's. He is deeply invested in our work, having now served for three years and is nominated to continue as board treasurer for the 2016-2017 term. Jeff Ellis, Portland resident and Co-Director of Oregon Capital Resource Center, is an experienced and highly-respected death penalty defense attorney and has been active in abolition work for 25 years. His service on the board is essential to keeping it current on the law and death penalty cases in Oregon and nationally. Steve Ickes, from Turner, has been involved in many ways during his 25 years as an executive in the departments of corrections in Oregon, Wisconsin and Arizona. This is his sixth year on the OADP board. Francisco Lopez, from Salem, is in his second year as a member of the OADP board. He is the Public Policy and Development Consultant for Vos Hispana Cambio Communitario, a Latino grassroots organization working on criminal justice issues, with particular focus on the issue of mass-incarceration. Becky O'Neil McBrayer is the Program Director at Saint André Bessette Church in Portland. With a career in social action, Becky was brutally thrust into death penalty abolition work when her mother and step-father were murdered 10 years ago. She is active in Murder Victims' Families for Reconciliation (MVFR) and speaks often and passionately seeking repeal. This is Becky's third year on the OADP board of directors. David McNeil, an attorney from Portland, has been involved in repeal efforts for 17 years. When he lived and worked in Missouri, he served on the board of Missourians for Alternatives to the Death Penalty. Upon his return to Oregon, he joined the OADP board of directors in 2011. Tom O'Connor PhD is CEO of Transforming Corrections. Transforming Corrections is a consulting firm that helps governments and criminal justice agencies across the U.S. and internationally to implement evidence-based ways to prevent crime and victimization that are more compassionate, less costly, and more effective than current approaches. Tom is a former executive with the Oregon Department of Corrections and has been an active OADP board member since 2011. Terrie Rodello has been an active death penalty abolitionist for 16 years. In addition to her board service, she is the State Death Penalty Repeal Coordinator for Amnesty International USA. She lives in Portland and is active with peace and justice work with her Unitarian Universalist Fellowship. Jan Slick, of Keizer, is the OADP board secretary and has served on the board for five years. A social worker retired from Oregon's Department of Human Services, she is a skilled counselor and experienced in working with trauma victims, including people who have served on death penalty juries. Ron Steiner, of Salem, has been the chairman of the OADP board of director since 2010. He has been active in repeal work since 2000, and prior to living in Oregon, he was a member of the Steering Committee of the New Mexico Coalition to Repeal the Death Penalty. They succeeded in that task in 2009. Frank Thompson, of Salem, is a 32-year veteran of the military, law enforcement, and corrections. The former Superintendent of the Oregon State Penitentiary, he had the unenviable task of supervising the only two executions in the state in the past 54 years. His experience there directed him to become an activist as soon after his retirement from the department was official. He has served on the board since 2011. This all-volunteer board collectively has 143 years actively working to repeal the death penalty in Oregon. It is estimated that collectively the board members spent approximately 3,000 hours in service this past year. The board currently has open seats. If you are passionate about our mission and want to be a part of the successful conclusion to repeal work in Oregon, let's talk. On May 13, the pharmaceutical company Pfizer announced that it would impose strict distribution controls to block states from obtaining and using its medicines in executions. In a statement, the company said, "Pfizer makes its products to enhance and save the lives of the patients we serve. Consistent with these values, Pfizer strongly objects to the use of its products as lethal injections for capital punishment." With Pfizer's announcement, every major pharmaceutical company that produces drugs that have been used in lethal injections has voiced opposition to involvement in executions. The pharmaceutical companies are joined by medical organizations including the American Pharmacists Association, the International Academy of Compounding Pharmacies, and the American Medical Association which all oppose their members' participation in executions. The unavailability of execution drugs from these sources has driven states to seek alternative, and in some cases illegal, sources for these drugs, and has caused legal challenges in numerous states. More than 12,000 pages of California prison documents disclosed by court order on May 7 reveal problematic conduct by state officials and the extraordinarily high price tag the state would have paid for lethal injection drugs if it were carrying out executions. The American Civil Liberties Union of Northern California, which obtained the documents after a six-month legal battle, say they show that the California Department of Correction and Rehabilitation (CDCR) significantly understated drug costs, advocated violating federal law in attempting to acquire execution drugs, considered obtaining execution drugs from questionable sources, and downplayed the seriousness of botched executions in other states and the prospects that botches could occur in California. 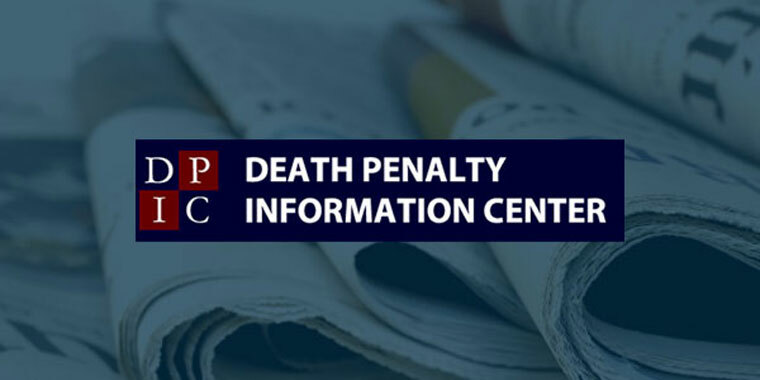 The ACLU requested the documents under the California Public Records Act, saying they were crucial to informed public comment on California's recently-proposed one-drug execution protocol. CDCR initially estimated drug costs at $4,193 per execution. Emails indicate that a compounding pharmacy agreed in May 2014 to provide 200 grams of the drug to the state for an initial cost of $500,000, but only if the company's name was kept secret. A second source quoted a price of $1,109 for 500 milligrams of pentobarbital. The emails state that 324 grams would be required to execute the 18 inmates who have exhausted their appeals, for a total cost of $718,632, plus unspecified fees to cover "service costs." Texas' Third Court of Appeals heard oral argument on May 11 on the state's appeal of a trial court ruling requiring it to reveal the identity of its lethal injection drug supplier in a pair of April 2014 executions. The suit, initially brought on behalf of the two executed prisoners, now implicates Texas' Public Information Act. The prisoners' attorneys argued that identifying the supplier of pentobarbital, the drug used by Texas in executions, was necessary to verify that the chemicals had been prepared correctly and would not cause an unconstitutionally painful execution. Then-Attorney General (now Texas Governor) Greg Abbott said that releasing the drug supplier's identity would present a threat of physical harm, because a previous drug supplier had received hate mail and threats after being identified. In December 2014, District Judge Darlene Byrne rejected Abbott's argument and ordered Texas to disclose the identity of the compounding pharmacy that had prepared the drug.